Shaman rhythms is very wide concept, but one should be present necessarily in shaman music is a key to doors in the world of spirits. This album, as well as possible corresponds to this sign. However the modern person need it not very often, we are very occupied by external circumstances and we sometimes simply would like to listen to good music. 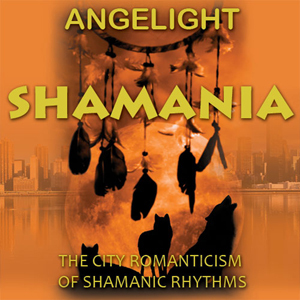 Modern rhythms are as well as possible combined with shaman motives, and Angelight proves it once again in the new album. Impetuous shaman dancings and sad call of voices from the world of spirits can be heard in this music. Khomus and didgeridoos against electronic substrates and club bits create that perception which in the best way approaches for a romanticizing shamanizm inhabitants of modern cities.